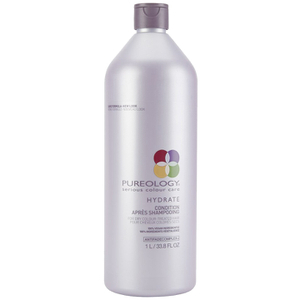 Derived from coconut, corn and sugar, this Pureology Hydrate Shampoo (1000ml) provides a nourishing and rich treatment for your dry, colour-treated hair. I applied the conditioner to my hair and as soon as the conditioner touch my scalp and skin my whole head felt like it was burning and really painful. The smell of the shampoo and conditioner is awful and really strong so that could have something to do with the tingling/burning sensation, but had to wash it off straight away and even after washing off I could still feel it burning my scalp. My hair feels clean and refreshed now I’ve dried it but definitely wouldn’t recommend if you’re sensitive. This is a repurchase for me. I absolutrly love this shampoo. A little goes a very long way and i only need to wash my hair once. It does not weigh down the hair and the shine is amazing. Since using this my hair has become so much healthier. I'd been recommended this shampoo (and conditioner) by my hairdresser and had tried some free samples he'd given me, which I'd loved. It was prohibitively expensive to buy it through the salon though, so I searched round on the internet and sourced it on LookFantastic.com. I love this shampoo - it really makes my hair feel hydrated and soft. It also helps the colour stay longer (I have coloured hair). Pureology is great make and this is well worth buying if you have dry, coloured hair. The smell of the shampoo takes a little getting used to as it's very different to most shampoos - not unpleasant, just different. Service from LookFantastic was great, couldn't fault it. I have been using the above shampoo for a couple of years now and my hair is very healthy and shiny. There is no flyaway when styling. This shampoo is THE BEST ever. Its gentle on my colored hair. My color lasts a lot longer. Smells great! The price is great and a little goes a long way. Will keep buying. Thank you! zero sulphates , this is very hard to find . This shampoo and the conditioner too, are both fabulous , my hair has never felt so soft and smooth , and I have naturally dry and frizzy hair . Would highly recommend . Did take longer to arrive than the stated date , but was worth the wait. My first time using this make, after reading an excellent review about it. Love the fact its using natural ingredients (am an Aveda girl generally), and it lives up to its name. 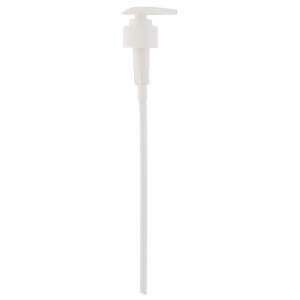 It really does hydrate and clean your hair beautifully. Will definitely continue using this addling with the super smooth conditioner. 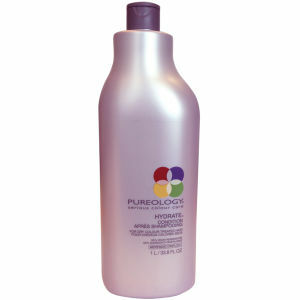 This Pureology Pure Hydrate Shampoo is a very food product and perfect size!